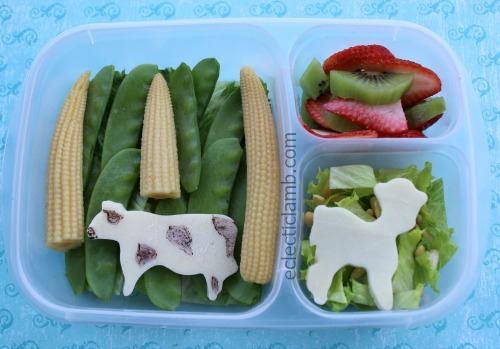 Today in celebration of Cow Appreciation Day I have cow shaped food. 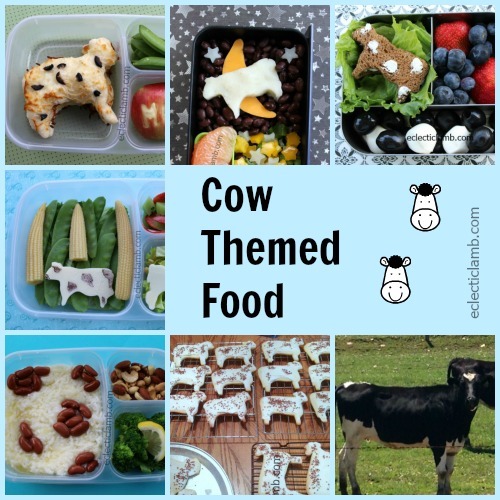 I used cow cookie cutters for a majority of these meals. 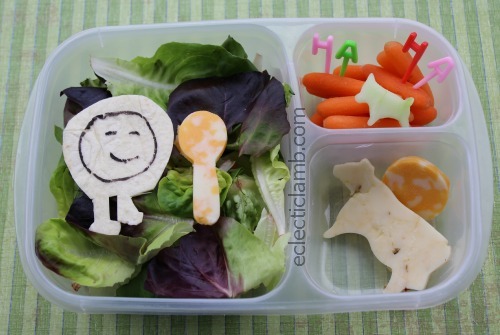 This mashed potato cow jumping over the moon was previously published here. This cow rice ball was previously published here. 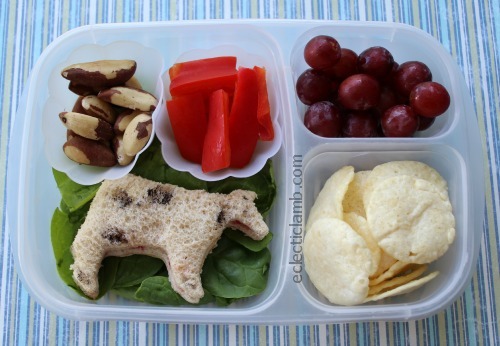 This cow sandwich was previously published here. 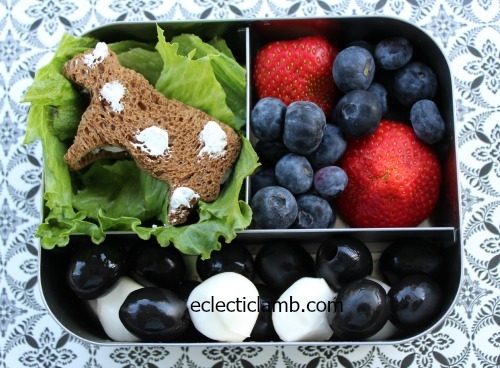 This black and white cow themed lunch was fun to make and eat. 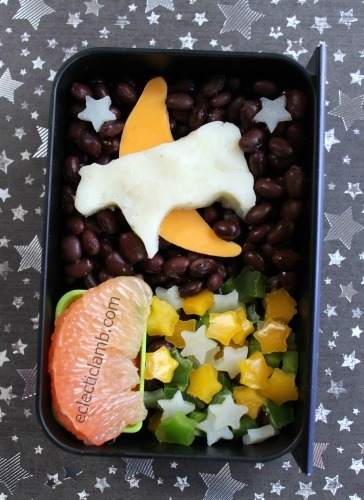 This cheese cow and moon was part of a dish and spoon themed meal. It was previously published here. 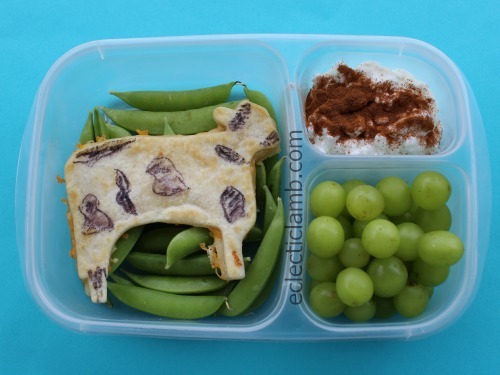 This cheese quesadilla cow was a natural choice for a cow themed meal. 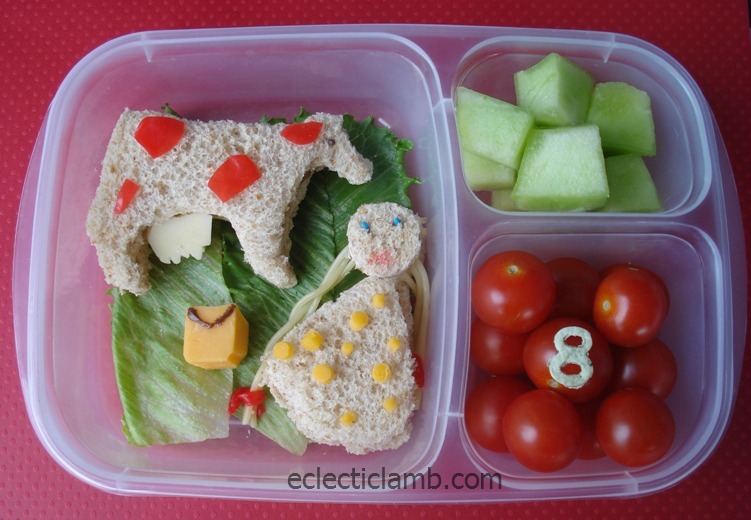 This cow sandwich with cheese udder and fruit roll-up details was previously published here. 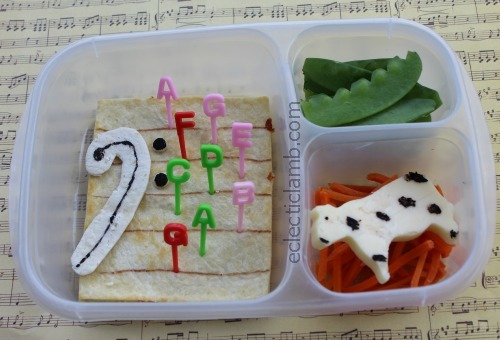 This cheese cow with food marker details was featured in this “All Cows Eat Grass” music themed lunch. Previously published here. 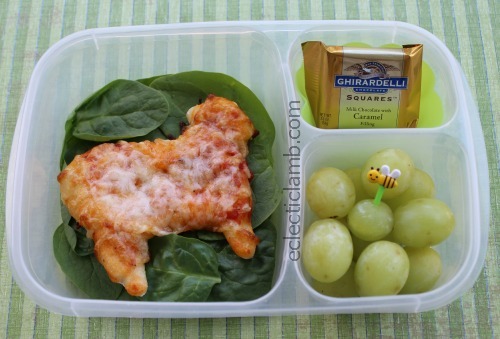 This simple cow shaped pizza was previously published here. 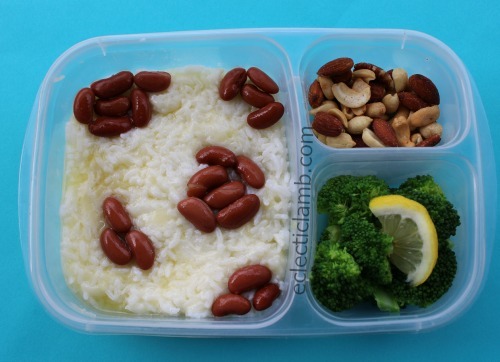 This cow patterned meal is simple to make – rice and kidney beans over cheese rice. 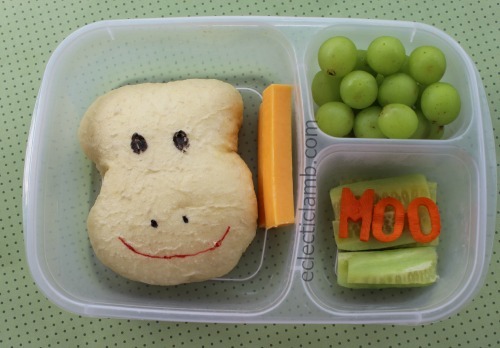 The bread in this meal is supposed to be shaped as a cow. Little Boy Blue come blow your horn, the sheep’s in the meadow the cow is in the corn. 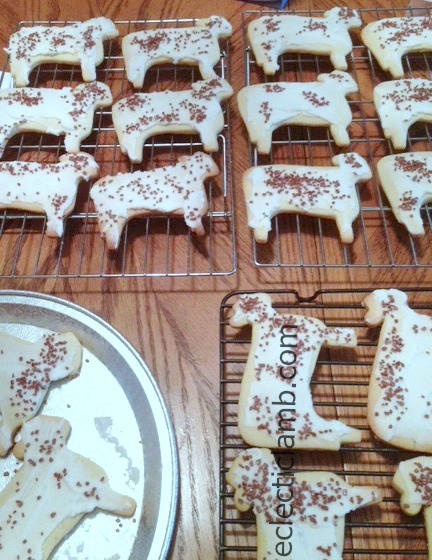 Frosted sugar cookies with ChocoMaker Milk Chocolate Flakes. 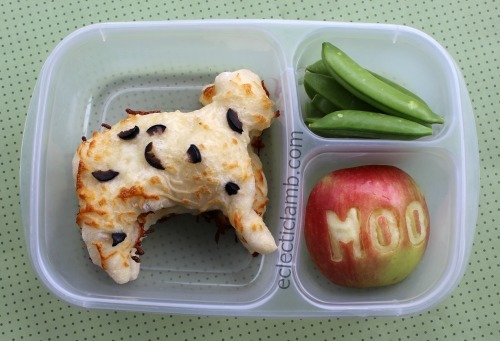 I hope that you now have some ideas for making cow shaped food. Enjoy! 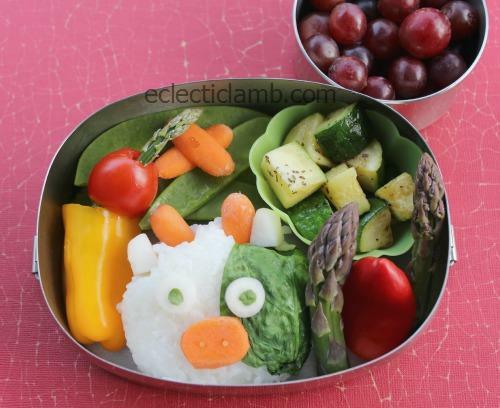 These are all too cute! My favourites have got to be the pizzas!